The Subway sandwich franchise outperforms its dining-industry peers in communicating with customers over social-media platforms, says a recent survey of U.S. consumers. Nearly 49 percent of respondents found Subway's social-media response "satisfactory" or "very satisfactory," according to the poll of nearly 600 people conducted in May by London social customer-service firm Conversocial and a New York University professor. That beats out nearly 42 percent for McDonald's, 41 percent for Starbucks, some 39 percent for Burger King and more than 25 percent for 7-Eleven. So what does Subway do to impress customers, at least the ones in this survey? We put that question to Paul Bamundo, who heads up Subway's social-media team. "With nearly 15 million friends on our Facebook page and over 555,555 followers on Twitter, we spend a tremendous amount of time not only sharing news about special promotions at Subway, but also listening, responding and amplifying customers' stories or their concerns to make sure they know they are being heard," he says. "It has definitely changed the landscape of customer service for all of our franchisees by providing a platform for consumers to share their feedback in real time," Bamundo says. "This gives us a better opportunity to learn from our customers." Subway founder Fred DeLuca and the company's chief marketing officer, Tony Pace, are keenly focused on the benefits that social media can have for the company's global brand, Bamundo says. The franchisor has more than 37,000 restaurants worldwide. "It's almost like having an instant focus group," he says. "One key differentiator I see for us over other brands on social media is our focus not just on increasing our likes and followers, but rather on truly engaging our fans with interesting content. We want to utilize our social channels as a medium for actively communicating with our customers," Bamundo says. 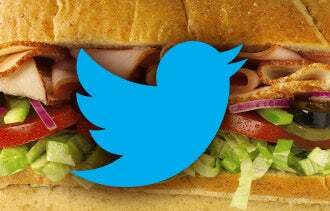 Still, when it comes to engagement, it appears that Subway and all the chains could do a better job. According to Conversocial's multi-industry survey, 55 percent of respondents also described their experiences communicating with companies over social media as either "disappointing" or "significantly lacking." Readers, tell us about your social-media approach. What's one tip that you can share?